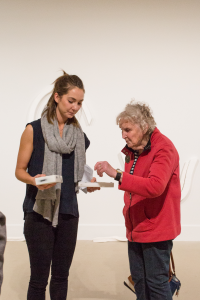 The Govett-Brewster host a tour per exhibition suite for people with vision impairments. Join us for a touch and audio described tour of our current exhibitions. No knowledge of art is needed. Just turn up. Original generation time 0.0369 seconds. Original generation time 1.5646 seconds. Cache Loaded in: 0.0005 seconds.